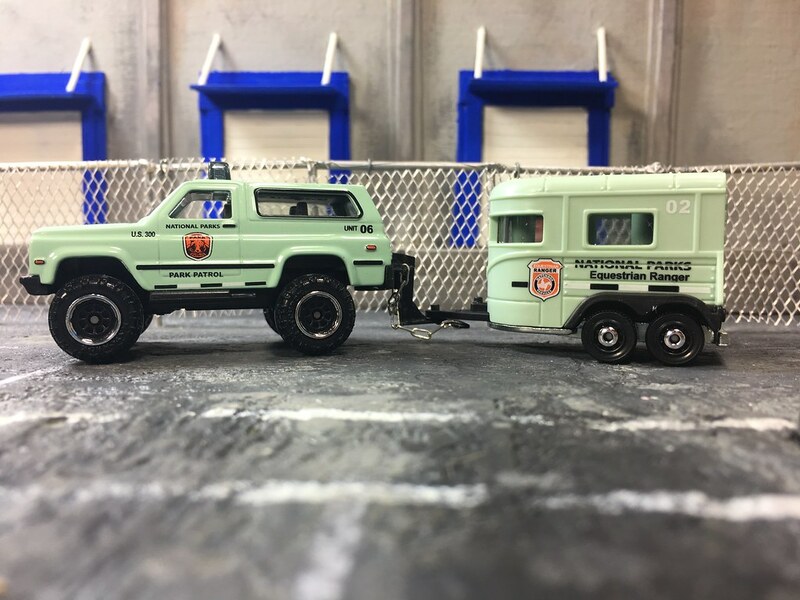 This 5-Pack called Ranger Rescue is a new set for Matchbox. This is a team sent in on rescue missions on behalf of the National Parks services. The first model is the 4 Wheeler. This is only the 7th time it has been released since it’s introduction in 1999. The first 5 version all had a rider. The rider was removed for the 2013 version and has remained off. This is a solid casting with a metal body and plastic top. Much like the 1:1 version would be. Next up is the Water Hauler. This one has also seen limited release, but it is a much newer casting, coming out for the first time in 2012. 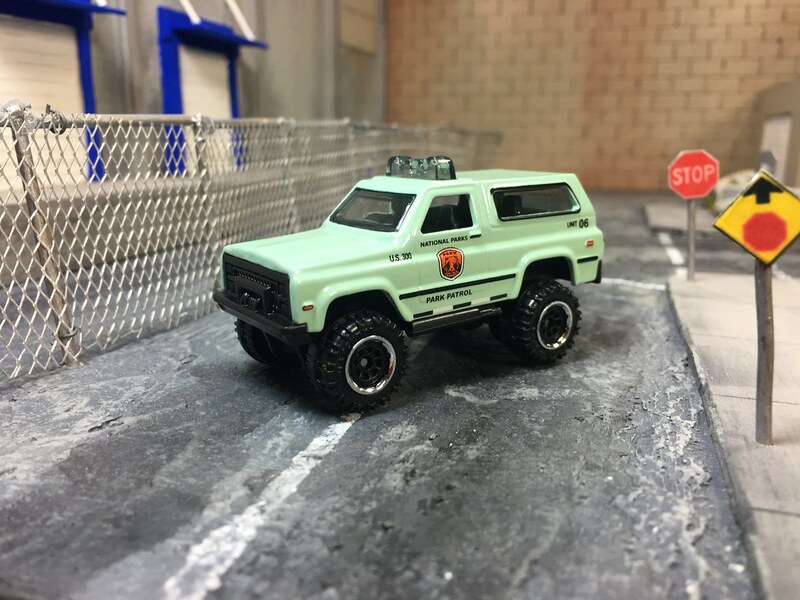 The 4×4 Chevy Blazer has been a fan favorite since the initial release back in 1984. The mold still holds up so well. The lines are so nice and crisp. You can’t beat the big wheels tucked under this guy. This is the non-aerial antenna version. I do love the giant antenna that we have seen in many versions of this truck. When the time comes for a water rescue, call on the Rapids Rescue. This is only the fourth time we have seen this truck in it’s short few years of existence. I don’t know why they decided to go with a different color on this truck. It does not fit in with the rest of the team, though it does have all of the correct markings. The Pony Trailer is an updated version of the original that saw life back in 1968. It only showed up a few times over the years. 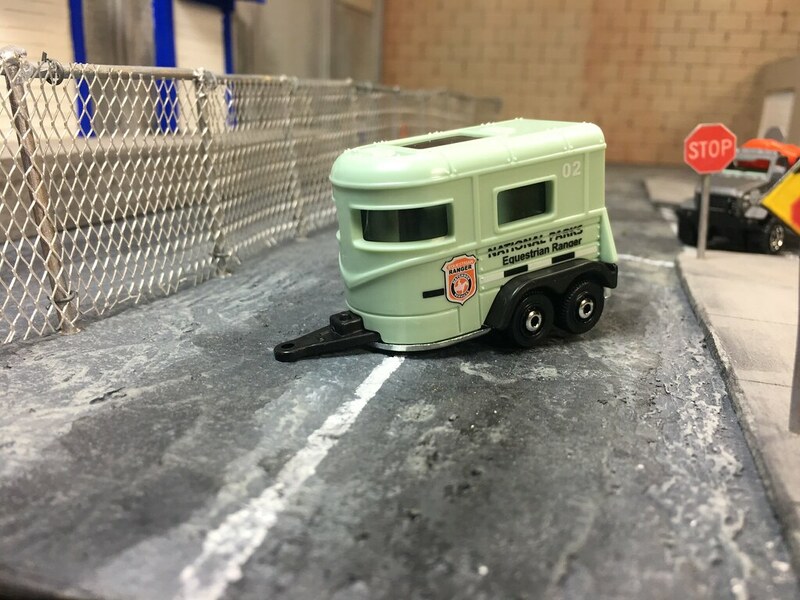 Matchbox has had a long history of great trailers, but we don’t get to see them all that often. This new version does not have an opening back, but the details are fantastic. 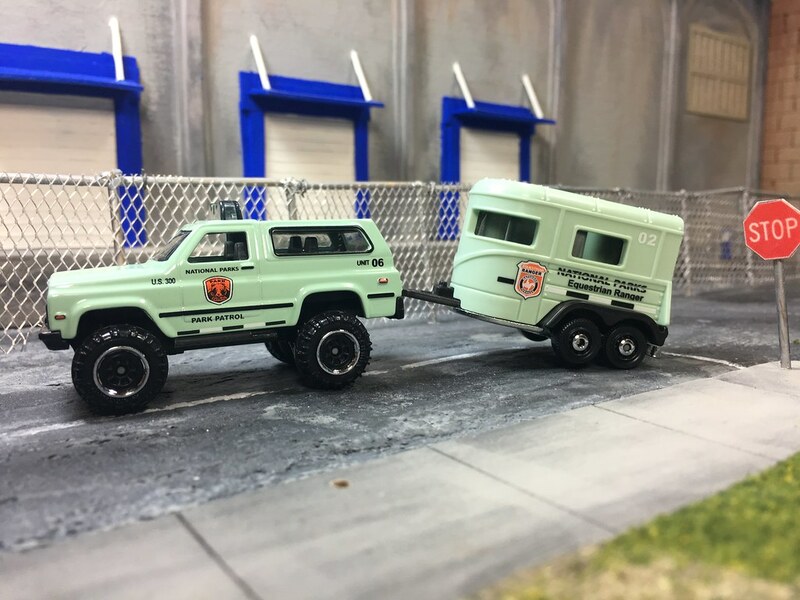 The big excitement for this wave is getting a trailer for the Blazer. Well, as you can see, the Blazer’s trailer hitch sits WAY too high for the trailer. So some modifications have to be made for this all to work together. 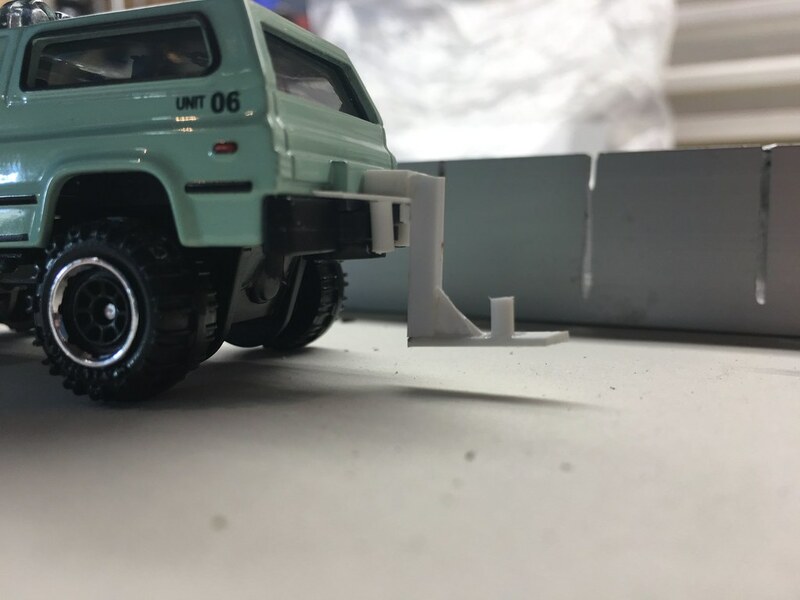 I decided I wanted to make a trailer hitch that would be able to be added to the model without having to make it a permanent part of the truck. I want to be able to move the hitch to another Blazer if need be. I used about 20 different pieces of styrene plastic cut to shape and glued. I test fit the pieces many times as I worked through the process. 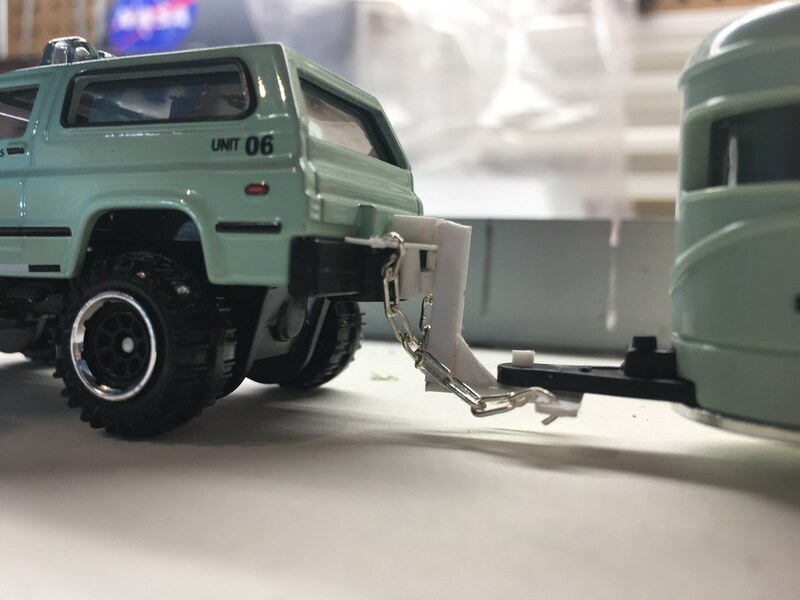 I needed the hitch to sit straight, look fairly realistic, and be able to actually work, as in allow the trailer to be towed by the truck when driving it around. 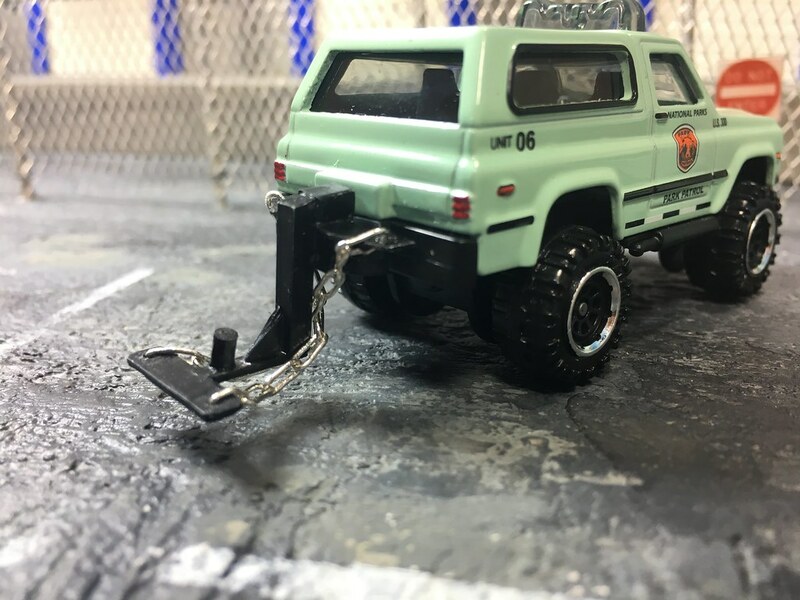 When all of the work was done, I painted the hitch a matte black and added some trailer chains. Now the Rangers are ready to grab the horses and head out on their mission. This was a fun build to do. It only took a few hours, but really upped the function of both vehicles. Now this set really makes me happy.